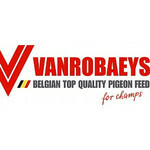 The goal of Vanrobaeys is to provide as varied an assortment of pigeon feed as possible. Each period of the year comes with its own specific feeding priorities: a pigeon has different needs during moult than during racing or breeding season. After all, a healthy pigeon gets almost everything from healthy feed, and this is our rationale for continually rethinking and expanding our approach to keep up with the needs of pigeons today… and we do this especially for our customers.